Digital marketing is a growing trend among all demographics, especially the Millennial market. Now the largest generation in the U.S., a specific strategy for younger consumers should be a part of any financial institution’s marketing plan. Want to know exactly how to implement an effective digital marketing strategy that maximizes revenue with your existing customers while also growing new business? Let me take you step-by-step through each of the major platforms you can utilize to launch your own digital presence and become a leader with generous market share. We’ll cover exactly how to effectively navigate your web content, search engine optimization, social media presence, online advertising and email campaigns. You probably already have a basic understanding of most of the marketing platforms you can (and should) use in your digital strategy. But interacting on social media as an individual, for example, is much different than using as a company it to drive revenue. 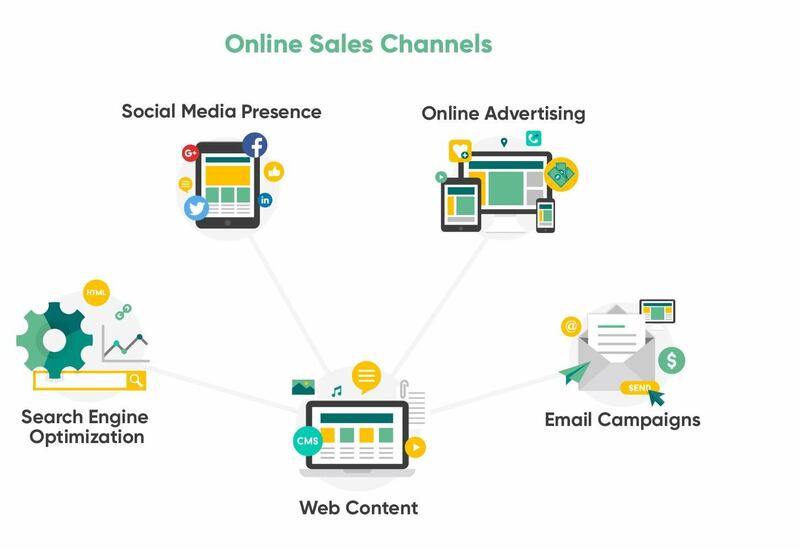 Let’s take a brief look at each individual online sales channel before we dive into the details of how to make them work for your financial institution. Your financial institution’s web content is the foundation on which all of your other online channels are built. That’s because it consists of all the information you make accessible to your target customers. Your financial institution can effectively use a wide range of web content, such as blog posts, ebooks, infographics and product or service landing pages throughout your website. No matter what kind of web content you choose, it should all have one common thread: It needs to offer authentic value to your customers and prospects. While quality content goes a long way in boosting your search engine rankings, it also leads to customer conversions. Your goal should be to address your prospect’s problems and provide them with the answers to questions they have while searching your website. When you do these things in an organized, intentional way, you’ll develop a very specific sales funnel that leads your current and potential customers to the right place online. From there, your web content can offer an action they can take as a next step in the process. What’s really exciting is that creating this customized sales funnel with your web content is actually quite easy to do. And don’t worry, we’ll show you exactly how in chapter 3. SEO is a must-have for financial institutions who hope to remain successful in the coming years. It doesn’t matter how large or small your financial institution is, you need to make sure your content is being seen online. It’s no longer enough to make a few web pages, integrate some online banking features and call it a day. Instead, get smart about SEO so you can proactively be part of the online banking landscape, whether you’re competing for customers in your region or across the nation. In order to ensure your financial institution’s website appears in search engine ranking pages on Google and others, it’s important to stay up-to-date on the latest algorithms. Relevant keywords will always have a place in SEO because they help direct the right people to your website. But another important component is keeping your website mobile-friendly. That means, every page and piece of content on your website should be accessible and easily readable from a mobile phone. Balancing both the content aspect and the technical aspect of your online presence is the key to a successful SEO strategy. Social media is increasingly becoming a go-to resource for consumers, moving well beyond mere interactions with friends and families. Financial institutions can leverage social media to grow awareness, build a brand, and connect with customers and prospects on a much more intimate level. Plus, in many ways, it’s an easier form of marketing because you’re reaching people where they’re already spending time, rather than trying to push them to your website. You can get helpful feedback from your customers in order to do a better job, and also inject a fresh voice and tone into your financial institution’s brand. There are a couple of assumptions about social media that I’d encourage you to avoid when crafting your strategy. The first is that Millennials are the only generation worth targeting through these platforms. In reality, Baby Boomers are just as active on social media, although different platforms may be better suited to different generations. That leads me to the second myth surrounding social media: Facebook is the only player in the game. While it’s certainly one of the biggest, other platforms are becoming even more popular. Instagram, Pinterest and YouTube are particularly influential right now. And LinkedIn has incredibly targeting capabilities. Financial institutions are naturally numbers-oriented, so online advertising should feel right at home for you. Why? Because it’s extremely easy to measure your results and tweak your strategy to make it even more effective. While things like web content and social media are excellent tools for bringing organic traffic through your sales funnel, online advertising allows you to pay for ads that bring in directed traffic. You have more control over the type of audience you’re reaching and can use it to focus on specific campaigns you’re running. There are multiple online platforms you can use for advertising. The two largest are Google and Facebook, but we’re also seeing success on platforms like LinkedIn, Pinterest and YouTube. One of the things I love about online advertising is the ability to test out different sets of ads, and then quickly adjust your campaign based on their performance. It’s something that you could never do with print media, yet it’s so fast and easy with online ads. Using segmented email campaigns for different audiences can be a great way to leverage your content and get it in front of the right people. You can track past interactions you’ve had with them, and then launch the appropriate follow-up campaign that helps to move them to the next step in the customer journey. Email campaigns are all about taking a lead and moving them closer and closer to the action you want, whether it’s opening an account or applying for a mortgage. One of the best things about email campaigns is that you can automate them and align them with your Customer Relationship Management software (CRM). As long as you keep your email list clean, the implementation process is simple. And just like online advertising, email campaigns are easy to measure using open rates and click-through rates. The key is to make each component of the email compelling and engaging. It’s an exciting time to be a financial institution when considering the best way to utilize these digital marketing strategies. A recent study found that 48% of consumers expect specialized treatment and 33% had already abandoned a business relationship directly because of lack of personalization. Because, truthfully, most financial institutions are not doing digital marketing well. So the ones that really figure out the best way to reach their customers and prospects online are going to become automatic leaders. This is especially true as consumers struggle with the convenience of big financial institutions and the desire to support smaller financial institutions. The ability to gain market share in this increasingly crowded marketplace is crucial. The good news is that community financial institutions are already known for better, more personalized service. Digital marketing can make you even better at these things. In fact, hyper-personalization is a trend that is only growing in the banking industry. Clearly, a strong digital marketing campaign isn’t necessary just for growing your customer base; it’s also important in keeping your existing customers. Let’s talk about how a little bit of legwork before you launch a campaign can help ensure the success of your digital marketing strategy. Don’t jump into online marketing without a plan. Make it count by creating a customer journey and including the two necessary components for any digital campaign. First, let’s talk about creating a customer journey. Every aspect of your financial institution’s digital marketing strategy should be thoughtfully crafted to target a specific type of audience and take them through their customer journey. By creating targeted messages for specific audiences, you make it easier to move leads through each stage of the online sales funnel. You’ll also enjoy better customer satisfaction, greater upselling and less customer turnover. 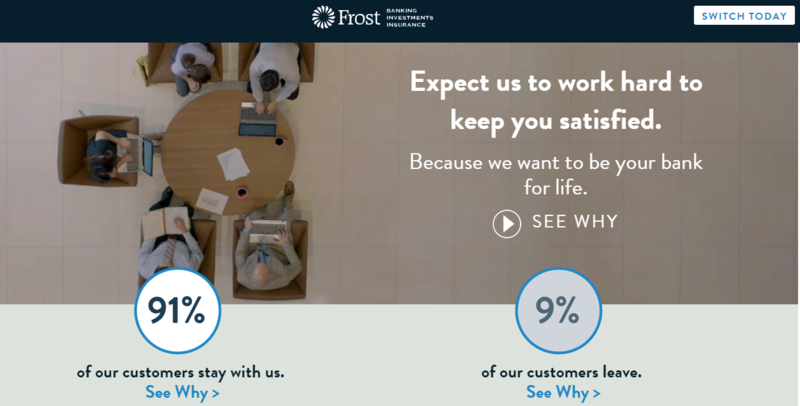 So how do you create a customer journey for your financial institution? We’ve broken it down into five easy steps. Customer personas play a huge role in mapping out an effective customer journey. Defining each persona that’s relevant to your market is the first step in developing a customer journey. What exactly is a customer persona? It’s a fictional profile of your ideal customer within a particular segment. To ensure your persona is accurate, don’t just work off of your best guess, use market research and data from your branches and online interactions to define each persona. Of course, your exact personas will vary greatly depending on the community in which you operate. This process also helps you identify the customer segments that are the most important to your financial institution. You may be surprised to find out which segment comprises the largest percentage of your customer base and which brings in the largest profit margins. Once you figure out this piece of the puzzle, you can start honing in on how to help your ideal customers achieve their banking goals. The next step is to define each customer persona’s banking goals. This will inform the type of content you should include in your online marketing. Start off by thinking about what kind of information each persona is looking for on your website. Are they searching for checking account options or browsing investment opportunities for retirement? After that, consider what would be an optimal solution for their questions or problems, even if they haven’t necessarily considered it themselves. For example, if a young couple took out a mortgage a few years ago, it may be time for them to consider refinancing. Is that a priority they have on their mind every day? Probably not. But if you create an online marketing campaign showing how they could save money by taking advantage of a better interest rate since their credit score improved, or drop their mortgage insurance if their home has risen in value, then you’re giving them an incentive to explore further. Having clearly defined banking and financial goals for each persona you’ve developed will help you create better, more successful, campaigns. Now that you have an idea of who you want to reach and what their banking goals are, you need to decide how you’re going to communicate with these audiences. This is where all of those digital channels we defined earlier come into play: web content, SEO, social media, online advertising and email campaigns. Each of these channels will be a touchpoint. These channels areas are obviously going to intersect and overlap, which is a good thing. Consistently providing quality content to your customers and leads through multiple channels is how you grow your brand awareness. When creating touchpoints, remember that user experience is just as important as the content itself. Simplification is vital, so review each piece with fresh eyes to make sure the call to action is easy to find. When using emails, for example, that means clear buttons throughout the text to take the consumer to the right place. On your website product pages, it means a clear path to opening a specific type of account. The nature of digital marketing makes it easy to measure the success of each of your touch points. Create key performance indicators (KPIs) to define your goals and measure them. Remember though, not every campaign touchpoint needs a KPI related to conversion. Instead, the goal may be raising brand awareness or engaging existing customers. Look at click-through rates and also look at where customers tend to abandon the process. You can also measure what types of campaign work best on different devices. Those aimed at Millennials, for example, may do better on mobile devices, while a more seasoned professional may be more likely to interact with you on a computer. Alternatively, you may find that the same customer uses multiple devices to complete a journey, which is also worth tracking. Perhaps the introductory research is performed on a smartphone, but the actual online application is submitted on a computer. Having the right technology to monitor these nuances is crucial in order to accurately understand how well your online processes are working. You can also identify the cost per acquisition for each campaign. This ensures that the amount you’re spending on each marketing effort is actually worth the gain from the type of customer you’re acquiring. The results of analyzing your metrics will then inform you of the best way to improve your processes moving forward. Where is the friction that is preventing your customer from completing the appropriate next step? Is it on the account application page? Maybe there are too many fields to fill in and the process seems too cumbersome. Or maybe your email subject lines aren’t enticing enough for people to actually click to open them. Having so much data at your fingertips allows you to access in-depth insights of what you need to improve, which will only make your future campaigns more successful. No matter what kind of digital marketing campaign you launch, there are two components to identify before getting started: the traffic source and the call to action. The traffic source identifies where you’re trying to drive traffic from. This can be organic traffic via google search, social media or even email marketing. All of these sources drive traffic to your website. Once you have someone on your website, you need to decide what action you want them to take. Do you want the visitor to fill out a form or maybe download a piece of content? Whatever the action is, make sure it’s very clear what the website visitor should do next. Offer a clear and easy to understand call to action (CTA) which is the next step that you want a visitor to take on your site. Here’s an example from American Momentum Bank’s website. They are driving traffic to this credit card landing page, which distinctly outlines three products with bold “Apply Now” CTA buttons for each one. This portion of the funnel is extremely user-friendly, with virtually no friction for a warm lead who’s searching for a specific type of credit card. Next, we’ll go in-depth on each platform you can use to maximize your own financial institution’s digital marketing strategy. First, you’ll need to optimize your website to convert leads. In order to optimize the effectiveness of your website, you need to be able to tell a story to your visitors. By doing that, you can then use your content to move them through the sales funnel, no matter what stage they’re in. Remember those customer personas you created to help map out the customer journey? Now is the time to put those profiles to good use by tailoring your website to your ideal customers. Start by picking a brand persona for your financial institution’s brand. How your financial institution is represented online should reflect who your target audience is and what you’ve learned about them through creating their customer personas. Who will they trust to give them savings and loan advice? How do you need to build your brand to become their go-to resource? Should your voice be aspirational? Reassuring? Use the voice and tone they’ll be comfortable with to create a story for the customer. Everything you build online, from your website to social media posts to landing pages and ebooks, should be consistent with the voice and brand persona you’ve created. Also, be sure to formalize your voice in a Branding Guide so that different members of your marketing team can write content without sounding like completely different people. All of your landing pages should focus on customer goals, life stages and lifestyles because these are the stories that leads will emotionally connect with when moving through your website. First Federal Savings and Loan based in Washington state does a fantastic job creating a story for their customers. The pictures again convey that they know what their customers are looking for, as well as where they’re looking. First Federal has positioned themselves well as a local bank that is a member of the community. That’s going to leave a lasting impact on leads who visit the website looking for a trusted resource to help with their banking needs. While a great story helps keep your visitors on the page, creating a user-friendly experience is what helps convert them into actual customers. A great way to make a page more user-friendly is by utilizing widgets and solution finders which match customers up with the product best suited for their goal or life stage. The three solutions below are must-haves for any financial institution committed to maximizing the online user experience. Most consumers today research to ensure they’re getting the best deal possible. You can fulfill this need for research by doing the legwork for them. 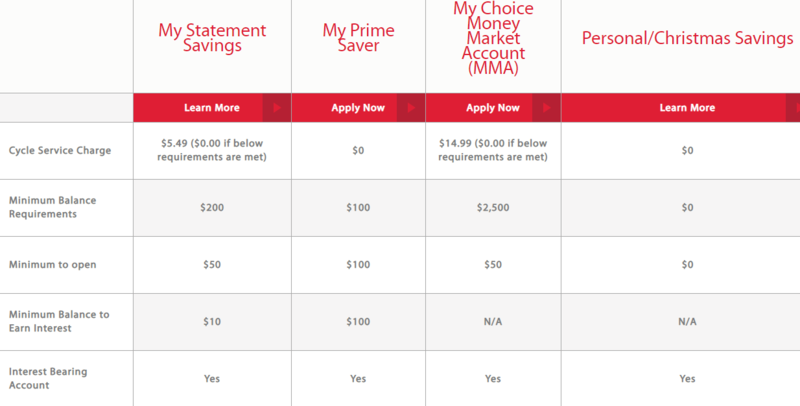 A comparison chart of different available savings accounts lets online visitors quickly find the best match for them based on the amount of money they have to deposit, monthly fees and APY. 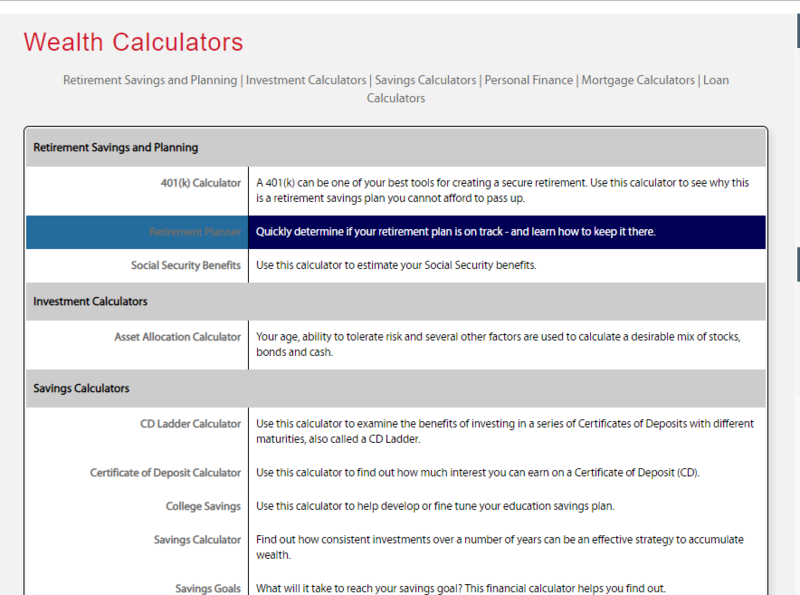 Right away you can see what benefits you’ll get with each type of savings account; plus, there are multiple touchpoints to click and learn more about each specific account. They’re organized by life stage so that visitors can scroll through quickly to find what they’re looking for and maybe even be inspired to consider a new product for saving or borrowing. Written content on your website is also critical to take online visitors through the various stages of the sales funnel. Remember, the goal is to solve problems and answer questions for your leads, and a great way to do this is through content like blogs and financial education resources. Notice how the content is varied: Two pieces provide helpful information to a visitor, while the other one showcases the financial institution as a sponsor of a major local marathon. Again, this is a great way to demonstrate your industry expertise while also establishing your financial institution as part of the community. While it’s entirely true that some people prefer to come into a branch to open an account or apply for a loan, that’s simply not the case for a growing portion of the population — especially Millennials who are more likely to open an account online than in person. That’s why online applications are crucial to maximizing conversion for accounts, loans and credit cards. Not only are you more likely to get the account, but you’re also able to capture a lead’s contact information so you can begin a follow-up campaign. While you definitely want to streamline the application form to make it as simple as possible, be sure to get the visitor’s contact information first and foremost. That way, even if the online application is abandoned, you’ll still have their email address so you can try to convert them at another stage instead. When you’re reevaluating your website’s structure and content, it’s important to contextualize each piece as part of the sales funnel. You’re going to have people in all sorts of buyer stages coming to your website, so make sure that you’re providing something for everyone. Don’t worry, this isn’t as complicated as it sounds. Let’s break it down into the three stages of the sales funnel with some concrete examples of the type of content each group may be looking for on your financial institution’s website. This portion of the funnel refers to online visitors who are in the broadest stage of their banking research. They’re not comparing interest rates or member benefits yet, they’re simply trying to find a broad solution to their problem, whether it’s what kind of mortgages are out there or how to apply for a car loan. That’s where solution-oriented content comes into play, especially blog posts. You’re providing answers, but at the same time, you’re also establishing your financial institution as an expert. Even if visitors at the top of the funnel aren’t ready to apply for a checking account or loan yet, they’re more likely to remember your financial institution when they are ready. The next stage for your potential customer is the middle of the funnel, where they’re now prepared to compare options. You can prime your website to help them through the evaluation process with several helpful resources. Instead of general blog posts that help the top of the funnel, you can provide more in-depth content for the middle of the funnel. Downloadable white papers or guides, webinars, calculators and online quizzes can be extremely helpful to this segment. And if you put some of this value-added content behind a form that captures the lead’s email address, you’ll be able to nurture them in a targeted email campaign to move them to the next stage. For visitors who come to your financial institution’s website and are primed to make a product decision, the web content you have available can make or break the conversion. What kind of materials are these visitors looking for? Trust-building reviews like testimonials can be effective, as are time-sensitive offers, such as an introductory rate APR. The solution finding tools we talked about earlier, like calculators and comparison charts, are also useful to this segment. Be sure to include thoughtful call to action buttons on each page that leads the visitor to the next step. An online mortgage calculator, for instance, should have a link or button leading to a more detailed page or even an application. As you can tell, addressing all three stages of the sales funnel isn’t as difficult as it sounds. It’s all about pairing a visitor’s banking needs with a path to the right solution. When you can facilitate that journey on your financial institution’s website, you can smoothly and efficiently boost your customer conversion rates. If you want to generate leads for your financial institution, using search engine optimization (SEO) must be an essential part of your strategy. In fact, the phrase “banks near me” is one of the most popular banking-related search terms each month. With an effective SEO plan, you can better your chances of appearing within the top search results, for both that phrase and others, that warm leads are looking for online. While there are a lot of ways you can boost your rankings, let’s go over the four most basic — and most important — so you can organically maximize your financial institution’s online awareness. Without a doubt, implementing a keyword strategy throughout your financial institution’s website is probably one of the most important things you can do to boost your search results. Obviously, general phrases like “online banking” or “mortgage lender” have a huge search volume, but they also have a ton of competition. The trick is finding the sweet spot with keywords that have high search volume and low competition. For community financial institutions, the most likely way to capture the lead is through geotargeting, meaning, using your location in conjunction with your top banking services in order to appear in search results for people who are actually looking for a financial institution in your area. There are plenty of online resources that help you perform keyword research. Most are paid sites that can give you lists of ideas for keywords, including the likelihood of ranking for each one. Other online tools allow you to analyze competing financial institutions in your area to see what keywords they’re ranking for. You can then create a focused content campaign on those keywords and start bringing in new customers. Moz’s Keyword Explorer allows you to do both of these things by searching for either keyword or web pages. KW Finder is another strong choice to not only discover keywords but determine how easy they are to rank for. In order to be successful with your keyword strategy, however, you need to avoid over-stuffing pages to sound unnatural. Search engines like Google are becoming increasingly particular about quality content, especially in the personal finance segment. Focus on creating in-depth pieces that answer questions and give value to online visitors, with short-tail and long-tail keywords distributed throughout in a way that sounds natural. You should also include your keywords in your meta descriptions and title tags for a legitimate way to increase their usage on your financial institution’s website. Another way to increase your SEO is with link building throughout your website. The idea is to provide links to other relevant pieces of content within your site. We’ve talked about how this creates an easy path for your online visitors to move through the sales funnel, but it also helps search engines crawl your pages more easily. Crawling is performed when automated robots catalog the information on websites and store it in databases. When someone performs a search query, the data captured by crawlers is used to gauge the relevancy of a page to the person’s search. Once your pages are found by crawlers, they can then be indexed by the search engine and included on relevant results pages. It’s especially helpful to place links to older pages on some of your newer pages that are more popular. You’ll drive new traffic and also give those older pages a fresh boost in terms of SEO ranking. Link building, however, requires more than a one-time effort. Your team needs to continually maintain the links and check them for errors. If your financial institution’s website is plagued by broken links and error pages, then your search rankings could plummet. A regular SEO audit ensures that your site contains only working, high-quality links that support the user experience. Your next step to gain awareness through SEO is to claim all of your business locations on search engines like Google, Yelp and Facebook. When you do, be sure to claim each branch location separately. This ensures that when someone searches for a financial institution near them, the closest branch can show up in the search results or on the map. The claiming process is quick and simple. On Google, you start by entering the branch’s basic contact information, including the address, phone number and website. Then, you just need to verify your connection to the financial institution branch by entering the PIN that Google sends to you via either call, text or email. For financial institutions with a large number of branches, this process can become tedious and time-consuming. There are plenty of services out there, including digital marketing agencies like Achieve, that can do this for you. Either way, creating a separate business listing online for each specific branch can go a long way in reaching your target audience when they search for local financial institutions. Do a few example searches on your own and you can compare how the results change once a business has been claimed. Search engines are also placing increased importance on positive online reviews. Plus, potential customers use these reviews to gauge how well your financial institution performs in terms of customer service. Once you’ve claimed your financial institution’s branches, make it a priority to encourage existing customers to review your financial institution on each platform. There are plenty of easy ways to encourage your existing customers to take the time to write a review. Start by adding a “review” button on places like your website (target pages existing customers visit frequently, such as the account sign-in page). You can also include these buttons at the end of each marketing email and on your social media pages. For a more proactive approach, offer incentives for leaving a review. Run a contest that gives reviewers the chance to win a prize. You can promote the contest through temporary pop-ups on your financial institution’s website, through a specific email campaign and on your social media accounts. If you really want a boost, consider running a targeted paid ad campaign on platforms like Facebook. The smallest incentive can result in a flurry of online review activity. Remember, though, that when you invite opinions, you might not like all of them. Don’t worry, damage control is easy and can actually give your customer service team a quick win. You can do this by regularly responding to each and every online review, good or bad. For bad reviews, this lets you address any negative comments and showcase your team’s care and understanding. A response to good reviews simply lets customers know they’ve been heard, which is a big deal in keeping them loyal to and engaged with your brand. When used cumulatively, all of these SEO strategies can really augment your financial institution’s online presence. And if you noticed, most don’t require a ton of work, especially in the long-term. After you’ve implemented these ideas once, you just a need a bit of ongoing maintenance to keep your search engine rankings high. Social media. Whether you like it or not, it’s a necessary part of how all companies need to do business these days. Let me support this with a revealing statistic. About 43% of Millennials don’t go more than five hours without checking in on their social media accounts. Surprisingly, the next most plugged-in generation is Baby Boomers, 29% of which check their social media just as frequently. So if you want your financial institution to be where your leads and customers are hanging out, then you’ve to be active on social media. Let’s talk about each platform in more detail, then I’ll share some tips on how to truly maximize the impact of your social media marketing efforts. Data collecting scandals aside, people love Facebook, and they’re still using it in droves not only to communicate but also to gather information. One in five page views happens on Facebook. Think about that. 20% of page views in the U.S. originate from Facebook, so if you’re not pushing your content there, you’re missing a huge exposure opportunity. As you build all of that value-add content on your website, make sure you’re sharing it on Facebook. Instagram is similarly all about quality content, but in a different way than other platforms. This isn’t the place to share blog posts; it’s the place to humanize your financial institution and develop authentic relationships with your audience. It takes a bit of effort to incorporate a successful Instagram account into your marketing strategy because you’ll need fresh visual content on a regular basis. Pictures that include faces are top performers on Instagram. Financial institutions can capitalize on this by sharing snapshots from community events and local business customers. You can also share an insider’s look of behind-the-scenes at your branches, ask questions to your followers and highlight your employees. 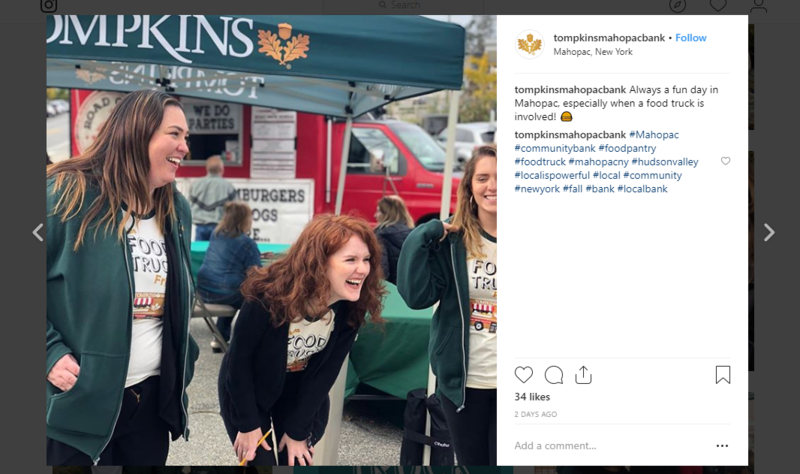 Tompkins Mahopac Bank in New York state does a fantastic job of combining digital marketing on Instagram with engaging people in real life. They advertise free meals from a local food truck, which gets customers to come to the physical locations. I can only imagine what this does for their customer retention rates, especially among young professionals and families. They also share snapshots from the event itself, showing how fun and lively it is to be a part of this banking community. 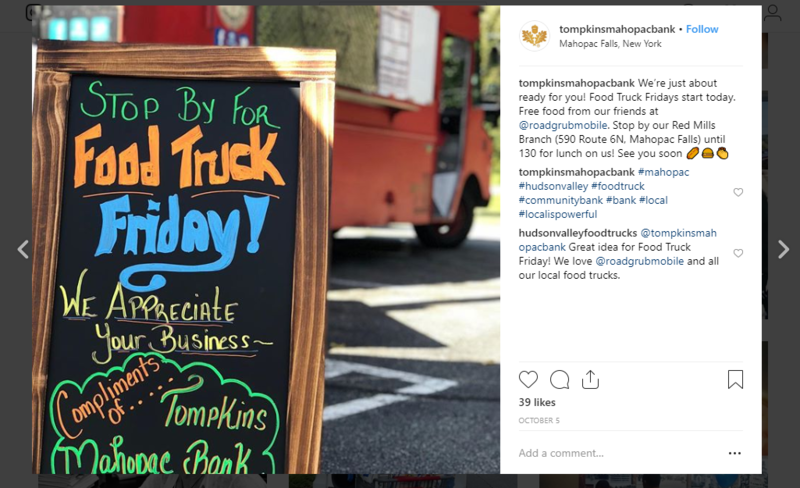 You don’t need a free weekly event to be successful on Instagram, but you do need to demonstrate how your financial institution is active in the community. Pinterest is an ideal place to combine visual content with your quality content pieces. This allows you to really create a cohesive brand and raise awareness around it. And unlike Instagram, you don’t need to use your own photos; instead, you can easily use stock photos that represent the tone and voice you want to achieve. One important factor to consider when starting out on Pinterest is that 81% of users are women. Keep this audience in mind when creating your content and visuals. Here’s a great example of how Pinterest can work for your institution. America First Credit Union has 8,000 followers on Pinterest because they create pins based on life stages and interests for their customers. If you click on the Weddings board, for example, you’ll see a mix of original content from AFCU as well as shared content from other quality sources. There’s wedding planning advice, budgeting tools and design trends so that AFCU’s board becomes a holistic resource for that customer or lead. It’s a smart way to engage with your audience and drive traffic to your site. If you want to stay ahead of the shift in successful online marketing, start building your presence on YouTube. We’re seeing video take over the Internet in many ways, from higher Google search rankings to lower social media ad costs. And there’s a reason for that: People like videos and are more easily engaged with video than any other medium. Trust me when I say that videos are worth the investment. Don’t be afraid to get creative with your YouTube videos. And make sure you’re adding value, not just making a TV ad that’s uploaded online. 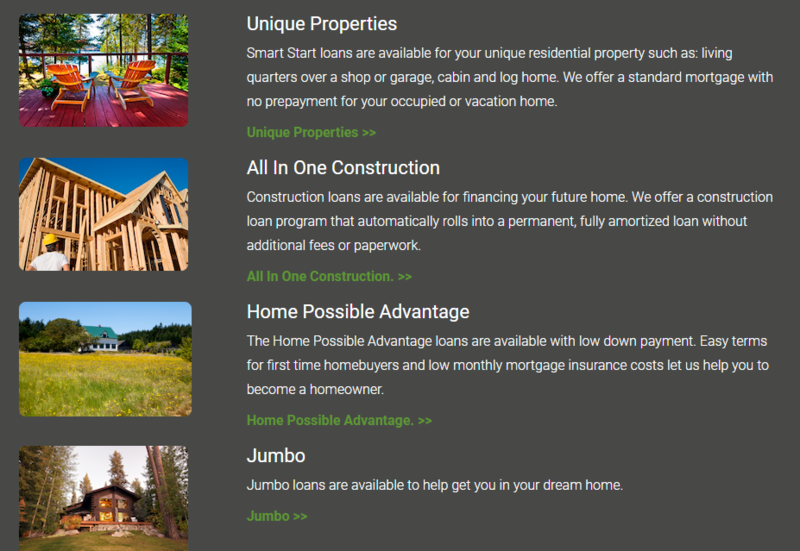 Check out these examples from Silicon Valley Bank. They clearly know their target audience is early startups and entrepreneurs. Their videos focus on valuable resources for business owners in any stage, whether they’re looking for a city to get started in or need to start a second round of venture capital funding. You can also showcase customer testimonials for each customer persona you’ve identified for your own financial institution or post how-to videos that answer common questions from your customers. You can utilize your keyword research as a starting point for more video ideas as well. Interacting on LinkedIn is a great way to reach out to potential candidates for recruiting by showcasing employee perks and personal stories. 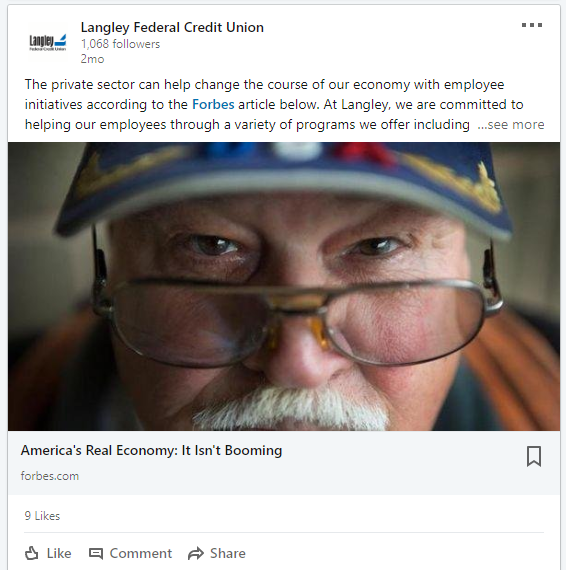 Langley Federal Credit Union’s presence on LinkedIn, for example, primarily focuses on hiring. LinkedIn is also ideal for finding new customers for business banking. Because LinkedIn offers individual profiles, not company profiles, this is a strategy that can be outsourced to your bankers or financial advisors. In addition to posting original content, your bankers can also interact in relevant groups, such as local small business owners or an investors club. 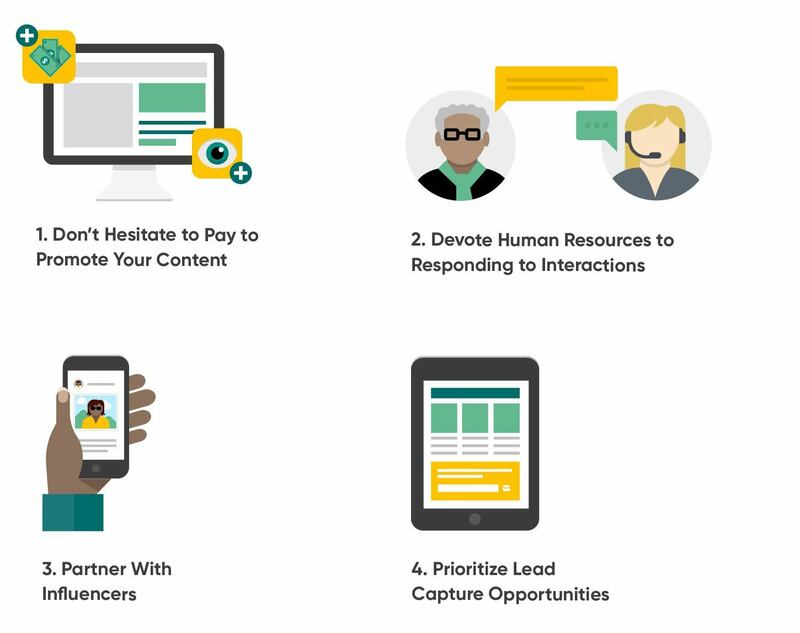 Engaging people consistently is key to a successful LinkedIn strategy. Twitter may seem like it’s not as popular as it once was, but that’s ok. In fact, it can even help you reach your audience in a more targeted fashion. While Twitter’s user count may be smaller than other platforms, they’re incredibly engaged. If you can create authentic content that focuses on your financial institution’s values, you can benefit from a very impactful campaign through Twitter. Here’s an example from Community Bank of the Chesapeake. 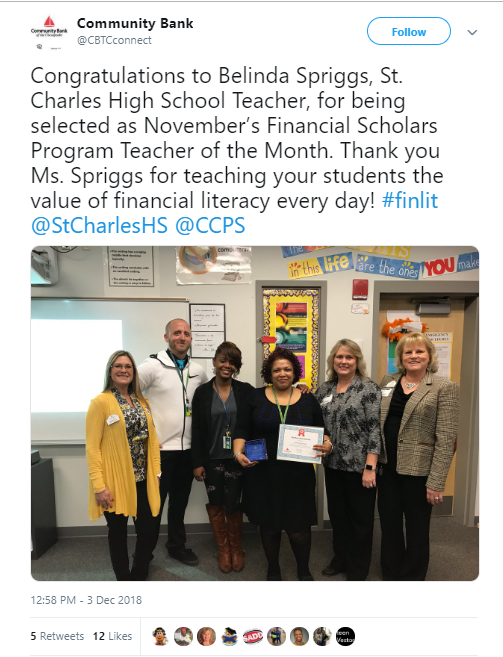 Here they share a community campaign honoring a local teacher and include a personal picture to make the post stand out. Now that you have a basic understanding of each social media platform and how it can be used, try some of these tips to truly maximize your digital impact. Unfortunately, social media platforms are becoming increasingly skewed toward paying companies. The platforms can limit your visibility, making it difficult to drive organic growth. Research even shows that brands trying to engage on social media only reach 6% of their target audience if they don’t pay for advertising. We’ll talk more about paid advertising soon, so for now, just know that it’s now a necessary component of digital marketing. Before you establish profiles on your chosen social media platforms, create a process for who’s going to interact with customers and what kind of approval process is in place. You may want to create a training program on how to maximize interactions, as it is the best way to engage people and address complaints. Once you open up your financial institution to public opinion, you’re going to receive it — whether you like it or not. But with an established process in place to answer questions and concerns, you can actually position your institution as a place that actually cares. Influencer marketing can expand your reach, especially on Instagram. Working with a social media influencer means paying a popular social media personality to endorse your products, which can help you get your message out to a wider, yet often more targeted, audience. It’s a smart way to promote your financial institution through the lens of someone’s personal experience. You will, however, need to educate the influencer on how to comply with FTC and FINRA regulations in their posts. In your haste to gain likes and shares on social media, don’t forget that you also need to capture leads in order to actually make conversions, whether that’s by gaining new customers or upselling existing ones. There are plenty of ways to do this, such as running a contest that takes them to a landing page to enter their contact information or requiring an email address to download a valuable content piece. Now that you understand how social media can work for your financial institution’s digital marketing efforts, let’s talk about how you can increase your conversions by using paid ads online. There are several ways to do this, and I’m going to give you an overview of each one to see how they could work for you. While SEO helps your landing pages appear higher in search engine ranking pages (SERPs), you can expedite the process by paying for ads to appear at the top of the search page before any of the organic results. These are Google Adwords or Pay-Per-Click ads, and they let you place your ad at the top of relevant search pages, and you only pay when someone clicks on your ad. The best way to maximize this tactic is to ensure your small ad packs as much of a punch as possible. How? One way is by providing a limited time opportunity or offer. For example, if you Google “Baltimore MD bank checking account,” here’s one of the top ads. M&T Bank offers a checking bonus up to $250 — that’s quite an incentive to click and learn more. Plus, they’re tapping into the city’s hometown pride by offering a Ravens NFL-themed debit card. Those are two awesome offers in a single PPC ad with just a few lines to convey M&T’s message. Social media ads are another effective (and necessary) way to get your content viewed. I talked earlier about how social media is becoming increasingly “pay to play.” But in reality, creating ads on these platforms can really help your conversions. That’s because social media platforms have extremely targeted demographic information at your disposal, letting you target very specific ads to the people who are most likely to click on them. For example, you could target mortgage ads to users in your geographic areas who frequently visit Zillow. 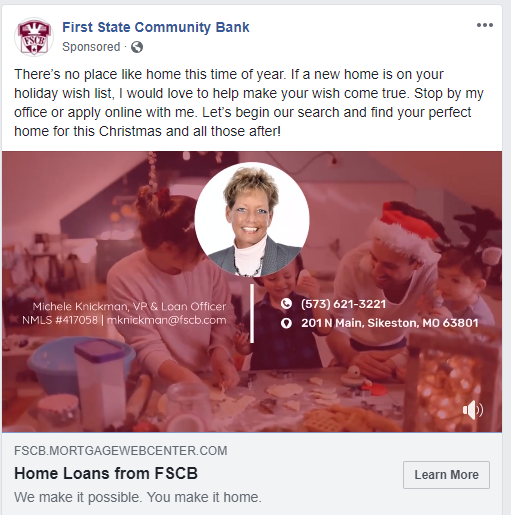 You can also target audiences that already like competing financial institutions in the area, perhaps with a “Make the Switch”-style campaign. Here’s an example from a mortgage broker at First State Community Bank. She ties in the dream of homeownership to the timely holiday season along with an inspiring video with music. In addition to creating ads, you can also boost your posts on Facebook. Since it’s difficult to organically show up in followers’ feeds, paying for a boost sets your posts higher in their results. We all know that people are spending more and more time on their smartphones, so it makes sense to direct some of your digital marketing efforts to mobile ads. 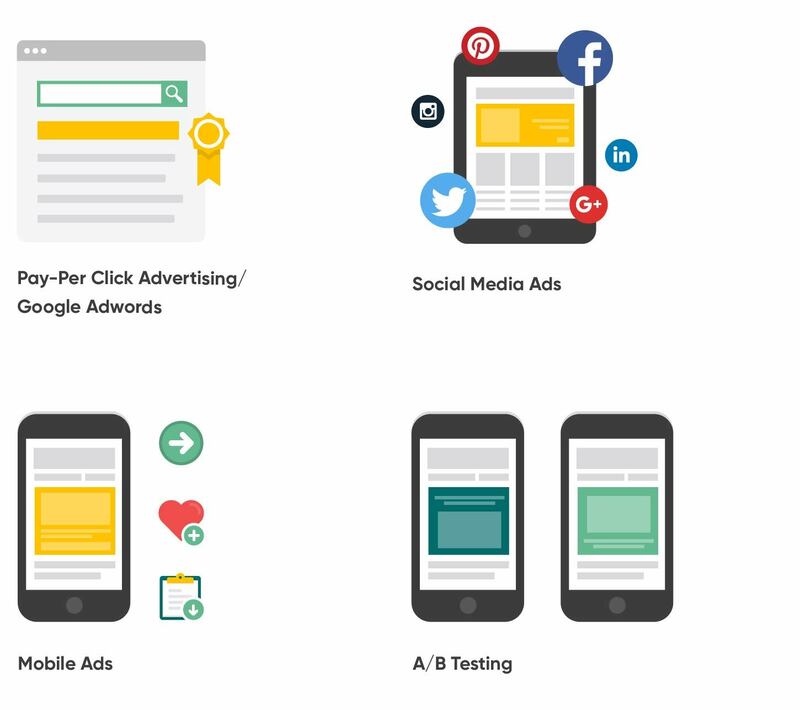 There are a few different types of mobile ads to consider implementing in your next campaign. The first kind is a native ad, which is built into an existing app and can be extremely effective for lead generation. The trick is to find a complimentary app that is related to the financial product or service you’re advertising. For example, consider advertising through a vehicle buying app to push your auto loan segment to car shoppers in your area. The next type of mobile ad is a banner ad. This is simply a small banner across a website accessed through a smartphone. Again, the key is to pick the right partner websites to appear on. For a bigger effect, consider an interstitial ad on your own website to promote a specific product or campaign. For instance, you could populate a specialized credit card offer when a customer logs onto their account page. It takes up the entire screen, plus you can add action buttons like “learn more, “remind me later” or “no thanks” to inform your follow up efforts. With any of these types of mobile ads, make sure your call to action is clear and compelling. It’s the best way to maximize your clicks and conversions to have a truly successful ad campaign. One of my favorite ways to maximize ROI for financial institutions is to use A/B testing with any paid ad campaign. An A/B ad tests two versions of an ad for the same campaign to see which one resonates better with your target audience. The only variable should be the ad itself. Everything else, including the audience, advertised product, time and day, should be identical so you can truly see which one is truly the better performer. Within the ad, you can change the details like the visual, the wording or even the type of message to determine which engages your audience more effectively. Run the A/B test for at least two weeks and monitor which ad has a higher click-through rate. Once you figure out which ad performs better, you can then use that one exclusively to launch a larger campaign. An enticing email campaign is a smart way to nurture both potential and existing customers within your financial institution’s CRM. Many of the digital strategies we’ve talked about already can help you grow that email list, so don’t waste the opportunity to use that contact information to your advantage. 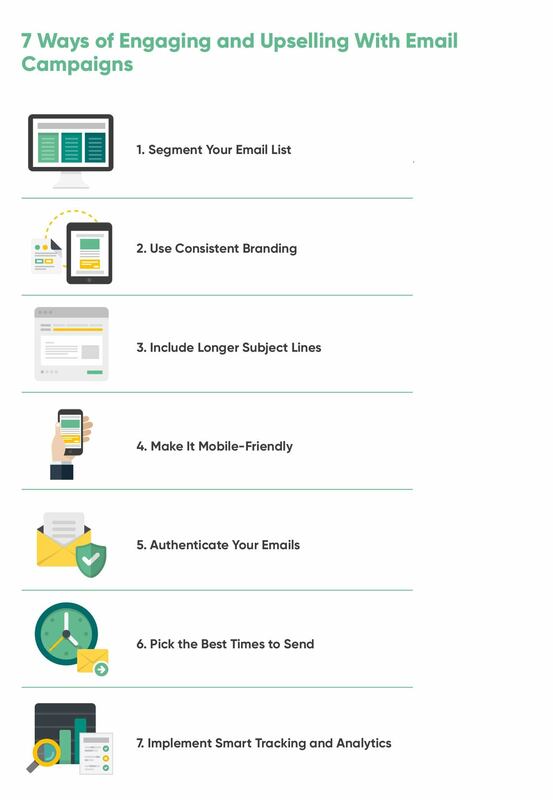 Here are seven ways you can truly take advantage of your email list. Effectively tagging your email subscribers helps to make your marketing campaigns more personalized, and consequently, more effective. This is an area where you can reference those customer personas you created earlier. By segmenting your email lists, you’re much more likely to increase open rates because the information you’re sending actually relates to the life stage of those customers. Segmenting your list means separating leads into groups based on the actions they’ve taken on your website. The content the download and pages they visit will tell you a lot about who they are and what they need. Use that information to put them into groups or segments so you can send them information that’s specifically for them instead of grouping everyone in the same list and sending them all the same emails. You may, for example, create an email campaign for leads who started a mortgage application but abandoned it halfway through. Tag those individuals and create a campaign encouraging them to complete their application online. Alternatively, if you gathered emails of prospective customers through a contest or other social media campaign, you can send them emails incentivizing them to make the switch to your financial institution. As you continue to implement and grow your email marketing, remember to keep your list clean and update people’s tags or segment groups as they move through different stages. If someone completed an auto loan with your financial institution, for example, you can tag them in a follow-up campaign for an auto insurance partner. While sometimes it’s smart to just get started in any new initiative, take the time to ensure your branding is consistent across your various email campaigns. This makes your emails more recognizable to your audience. Consistent branding entails a few different components. Contrary to popular belief, brevity isn’t always your friend, especially when it comes to higher open rates for emails. By lengthening the character count of your subject line, you can give the reader more detail to determine whether or not it’s worth their time to open. Research indicates that this extra information is much more effective in enticing people to click on your emails. The most important information should be mentioned at the beginning of the subject line, but you should still take the time to make the entire wording clever and informative. You can then add a preheader with even more details, which will show up as a summary in the recipient’s email box. Use both opportunities as a strategic way to attract your customers to click on your email. When you’re configuring your emails for any campaign, pay attention to how they’ll look when viewed on a smartphone. A lot of this revolves around choosing the right visuals. Check the pixel width of your images and fonts to make sure they’re not too big for a smartphone screen. Using smaller images can also help increase load times, which is better for decreasing abandonment rates. From a content perspective, all emails, including those optimized for mobile, should have a distinct call to action. Just make sure it’s a text link rather than an image, which can get lost on a mobile screen. Before you push an email out, test it on multiple types of devices to see how it looks and make any adjustments necessary before you sent it to your audience. Creating a successful email campaign isn’t just about clever language and catchy images. You also need to make sure your emails are actually showing up in your audience’s inbox. Email servers are constantly scanning emails for viruses and spam, so it’s important to prioritize the legitimacy of your emails. Most servers use DomainKeys Identified Mail (DKIM) to authenticate that the email actually originated from your domain. This is especially important for financial institutions since there are a lot of scammers out there phishing for personal and financial information while posing as a financial institution. Creating a DKIM record allows the server to authenticate your email and allow it to reach the recipient, rather than getting sidetracked to a spam folder. The Internet is always having a conversation over the best time and day to send an email to leads. Tuesday and Wednesday generally perform well, as does either mid-morning or mid-afternoon if you’re looking for specific time frames. However, like everything in a successful digital marketing campaign, personalization is key. Instead of relying on generalizations from studies across industries, conduct your own performance measures to find out what days and times perform best for your own customers. Testing methods are similar to those we talked about for A/B ad testing. In this situation, though, you’d keep your email as the control and use the day or time as the variable. There are all kinds of tracking tools available to figure out how well your emails campaigns are performing. This information is helpful because it can show you specifically what encourages people to move through your calls to action and where they tend to abandon the process. Once you know what’s working and what isn’t, you can replicate the good ideas and improve upon the ones that are less successful. Email analytics also allow you to set goals and see how well you’re performing against them. For example, you can measure things like open rates, click-through rates, conversion rates, list size and unsubscribe rates. If there’s one industry that has both the access to great data and the ability to use it effectively, it’s the financial industry. Financial institutions are extremely well-positioned to glean clear insights into how consumers behave and what financial products they want to use (or should be using). The key to unlocking this invaluable information is implementing a data analytics strategy. No matter how you currently utilize big data, I encourage you to consider implementing these three methods to truly maximize your financial institution’s reach — and its revenue. The first step in breaking down your data analytics is a digital audit. This process helps to clarify how you’re currently collecting data and how you can improve things for better metric tracking. If you haven’t formally started tracking consumer data yet, a digital audit can help create a baseline by identifying existing details and statistics about your current customer base. This is a great first step if you’re having trouble identifying those target personas we talked about earlier. If your financial institution already collects data in a certain way, you can perform a digital audit to tackle a specific issue and define the right metrics to measure the results. Here’s an example. A digital audit could reveal that potential leads easily navigate your website to fill out an auto-loan application but overwhelmingly abandon the process at a certain point. When you identify that point of friction for customers, you can resolve it, then perform a follow-up audit to see if your auto-loan conversions have improved. Digital audits aren’t confined to just website evaluations. You can also use them for individual online marketing strategies, including email campaigns, social media posts and online ads. Not only should you use digital audits to influence your financial institution’s marketing strategy, but you should also think about how you stack up compared to your competitors. A competitive analysis helps you do two things well. First, it allows you to better preserve your existing customer base by not taking them for granted. A competitive analysis helps you stay on top of industry trends to make sure you’re not missing the mark by simply maintaining the status quo. Secondly, it allows you to increase your market share by learning how to differentiate yourself from competing financial institutions. Using a competitive analysis helps you identify where other financial institutions are performing well and where they’re falling short. That information can then help your financial institution’s digital marketing strategy by highlighting what you do better or figuring out where you can improve. Their “Expect More” landing page sets up the proposition that they aggressively work towards customer satisfaction. They highlight customer testimonials, what to expect from customer service, plus online tools and security features to help protect customers. Do most financial institutions offer the same services? Absolutely. But is their digital marketing telling a story about how they’re different from the competition? Unfortunately for them, no. A competitive analysis helps you figure out what your story should be so you can expand your reach. Data analytics is not a one-time process to undergo. There’s certainly a lot more to do if you’re just getting started, but just like anything, it needs ongoing maintenance to be truly informative. For instance, reviewing your website’s user-friendliness shouldn’t be done once and then forgotten about. Consumer behavior is constantly changing, especially in such a tech-driven world. You should review your web analytics as frequently as every week, but certainly at least once a month, to make sure each page is performing how it should be. If not, you know it’s time to pivot and make some tweaks. Process evaluation also allows you to be more flexible with your marketing efforts. Historically, your financial institution may have focused on just a few campaign pushes each year. However, if you continually review the trends and needs of your customers and leads, then you can create ongoing micro-campaigns that happen throughout the year. 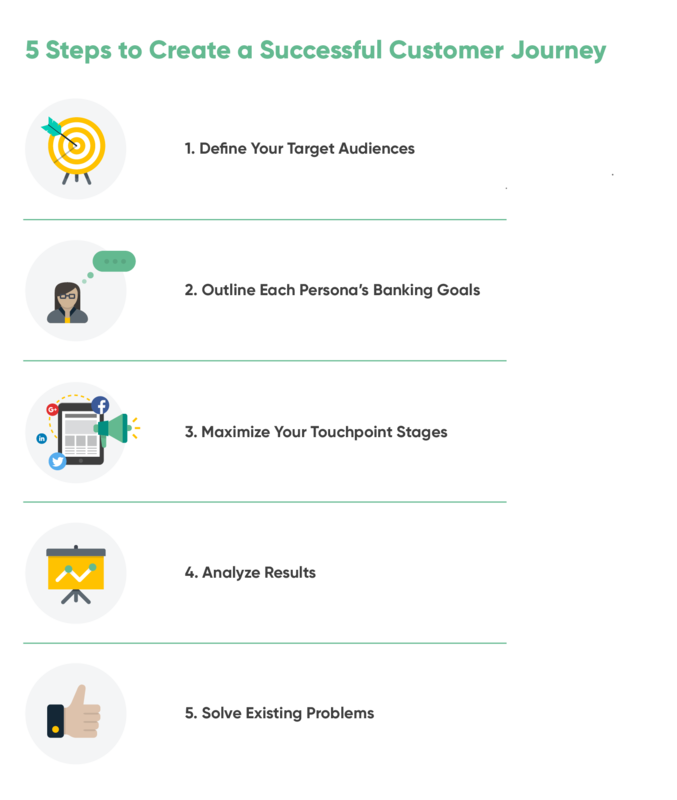 Now that we’ve talked about all of these amazing digital marketing methods, let’s take a look at a few ways you can pull it all together. Because no matter what kind of online strategies you choose to implement for your financial institution, it’s imperative that each one includes this single characteristic: personalization. That’s by far the most important part of a successful digital marketing strategy, whether it’s an email, a Facebook ad or a landing page. Consumers want to feel like you get them. Luckily, you can humanize technology using, ironically enough, better technology. Here are my favorite personalization tools, specifically for financial institutions. Location technologies like geofencing offer financial institutions several ways to improve the human banking experience for customers. Using a customer’s smartphone location features, geofencing can offer real-time prompts when the person enters a specific area. If they’re near a financial institution branch, for example, they could receive a phone alert encouraging them to come in a perform a relevant action. You can also use geofencing to push notifications when people are passing by partner businesses, such as a restaurant during lunch time, and provide a mobile coupon. This is a small perk that can help cultivate loyalty. Another related way to humanize the digital banking process for customers is to implement real-time alerts through your financial institution’s mobile app. Alerts help customers monitor their financial activity, leading to both better security and better management of their finances. You can enable your app to send customers payment due date reminders, account balance alerts and account transfer alerts. Fraud alerts also help customers know if there’s any unusual activity with their accounts or if a password has changed. Real-time alerts also help customers with more sophisticated financial products. If they have CDs, they can get a reminder when one of their certificates is about to mature so they can decide whether to withdraw the funds or start a ladder strategy. Similarly, they can get a notice if they have a high balance in one or more accounts, with a prompt to consider investing those excess funds. So you can see that real-time alerts not only cultivate better interactions and account management for your customers, they can also help push extra financial services and products to the right people. While the popularity of mobile banking continues to grow every year, consumers are still wary of security concerns. Financial institutions can help overcome these worries by maximizing protections for mobile customers. One of the most forward-thinking ways to do this is by implementing biometrics for account access. Right now, the easiest way to get started is to offer fingerprint recognition to access mobile account information. Iris recognition is also gaining a lot of steam among community financial institutions and is expected to grow substantially over the next few years. And a step beyond that is facial recognition, which is primarily being pioneered by Apple. While these methods are mostly used on mobile phones today, the push for using them in branches and at ATMs is growing. Biometrics is definitely a trend that can position your financial institution as a leader today simply by being early to market with these technologies. Undoubtedly you’ve been to some kind of website where a small chat box pops up with a rep asking you how they can help you. These chatbots are the result of sophisticated technology that can create helpful, interactive sessions with customers visiting your financial institution’s website. For customers, chatbots help them find the information they’re looking for in a way that is faster and more effective than calling or emailing. For financial institutions, they can result in significant cost savings. When used as a means to augment your customer relationships and field inquiries from leads, chatbots can be an extremely useful way to improve the overall banking experience. This is another technology that isn’t a question of whether or not you should do it but of how and when. Live chatbots are efficient and inexpensive, creating an easy value-add for your financial institution’s online experience. For a truly human experience online, webinars are a fantastic way to offer your customers value while reaching a targeted population for specific products or services. However, these online video conferences aren’t about selling something. Instead, they’re about offering value through the form of your financial institution’s specific expertise. You can use webinars to target different segments and help them with issues that resound with them. For example, in the new year, you could offer a general tax webinar for small business owners. When the spring real estate market starts to boom, you could have one of your mortgage bankers do a session for first-time home buyers. The opportunities are truly endless, and what’s more, if your financial institution has a wide geographic footprint, you can truly extend your reach using webinars. Digital marketing represents an incredible opportunity for community financial institutions, regardless of size or location. You can offer your customers and prospects a truly customized experience with your online marketing efforts, which serves as a true differentiator within the industry. Use data analytics and pre-launch planning to identify who your target audience is, then base your digital marketing strategy off that information. The core of digital marketing is meeting your customers where they are. Today, that place is online, from social media platforms to search engines. Reach out to your leads in all of these channels in order to add an element of value and authenticity to their banking experience. Trust is a huge factor for people today, especially when it comes to their finances. Digital marketing allows you to start a conversation and build customer relationships. If you want help maximizing your digital marketing strategy, or if you have any questions about the strategies discussed in this guide, let us help. Reach out to [email protected] and we'll show you how to take your marketing to the next level.